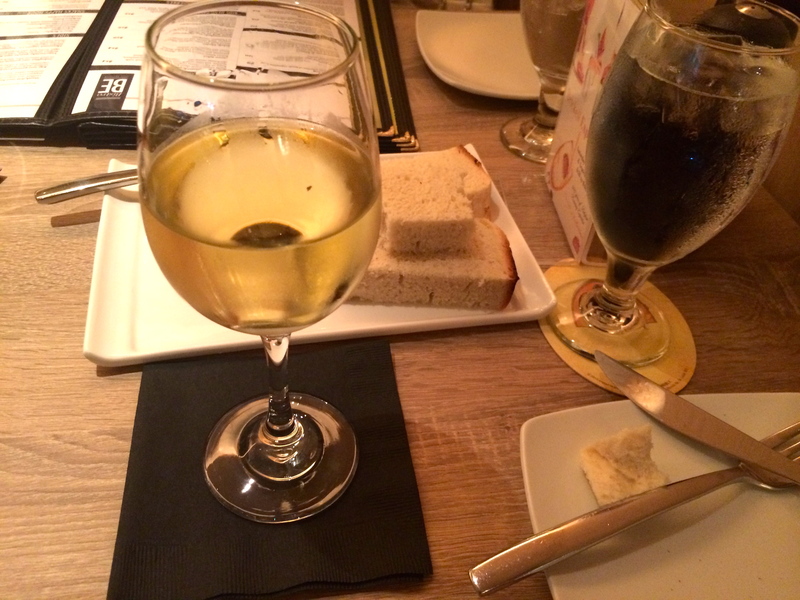 I love trying new places and hopefully discovering a local gem that I can share with my friends. 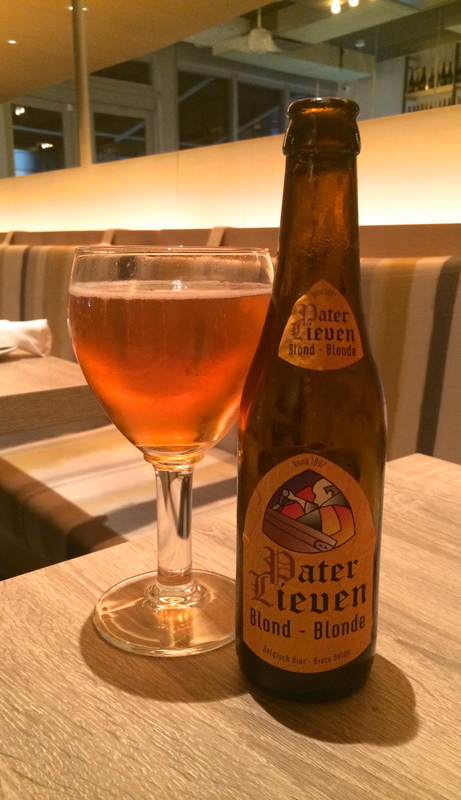 So, we decided to try this new Belgian restaurant, Bistro BE in Brickell. It’s right next to the old Hoxton or Irish pub (whichever you prefer). 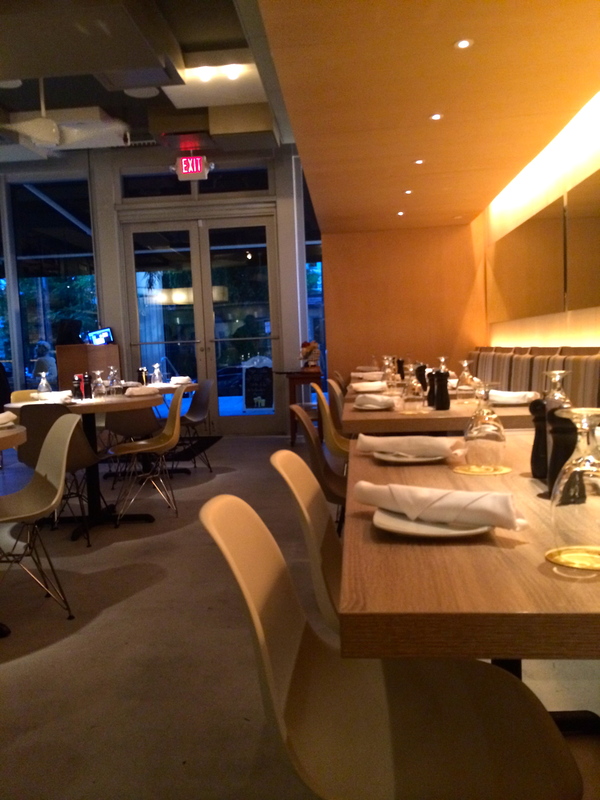 The restaurant itself is on the small side, with modern, simple decor and a nice bar to the right when you walk in. 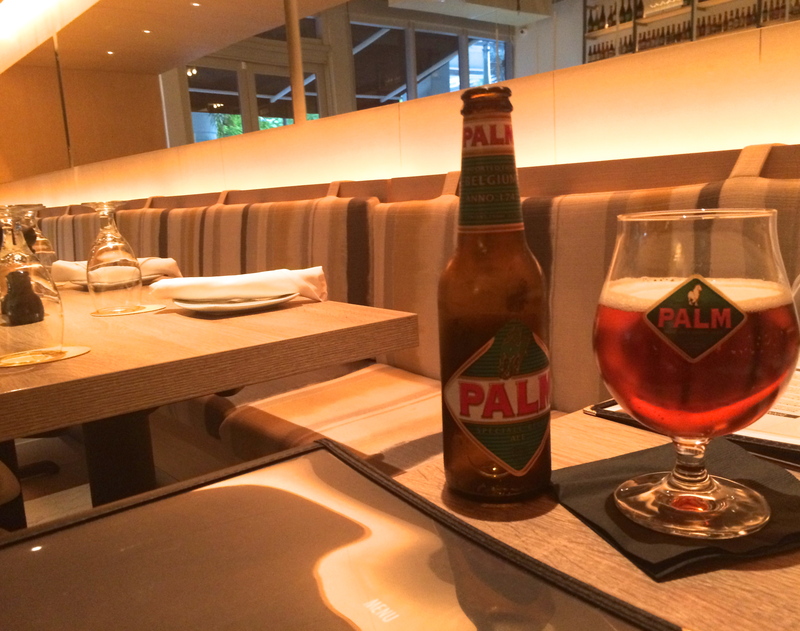 The menu consisted of Belgian favorites, soups, stews, fish dishes, and specialty Belgian beers. Being brand new, the place did have a few kinks to iron out. It was very warm when we were there, could be the lighting or the A/C not working. The waitress was friendly but had trouble describing the dishes and their size. The prices on the menu seemed a little off as well. Some items seemed more expensive than necessary and most beers were over $10. For example, the Chimay beers ranged from $13-$15 for 11.2 oz. 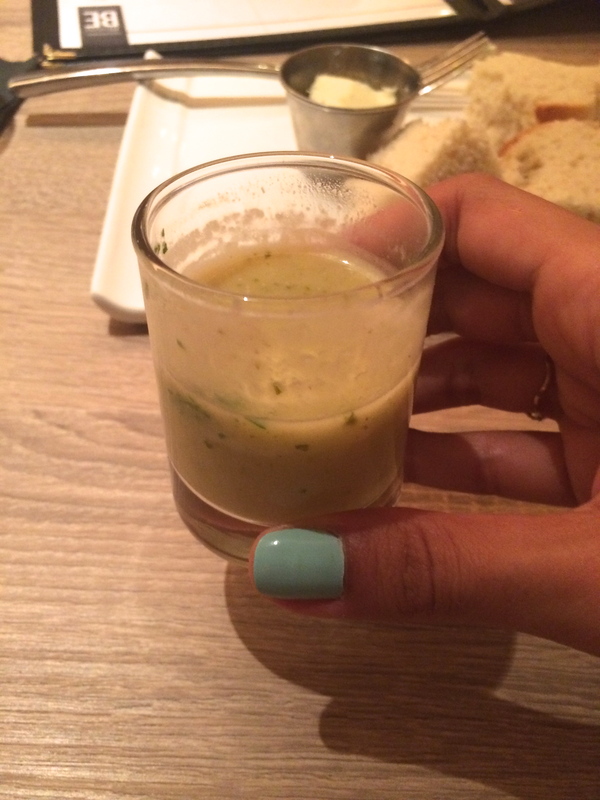 Complimentary tasting of their asparagus soup – delicious and nice gesture. 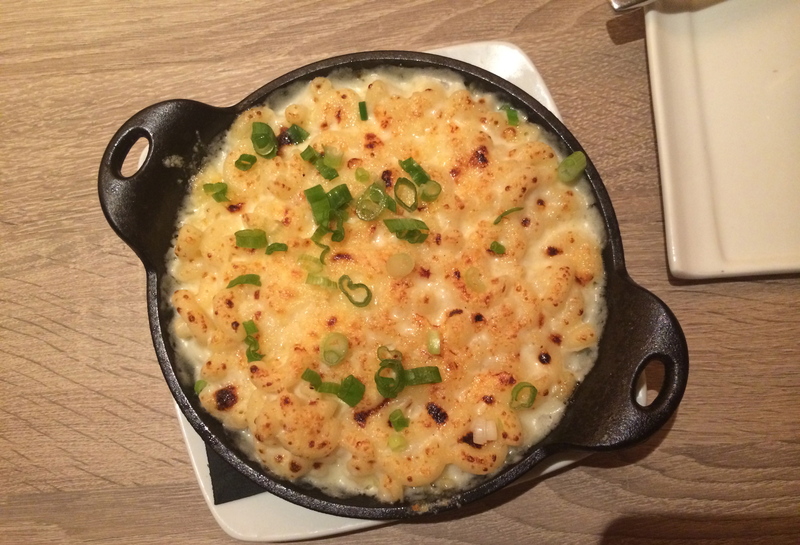 This side dish was very good, can’t complain much about a mac’n cheese. 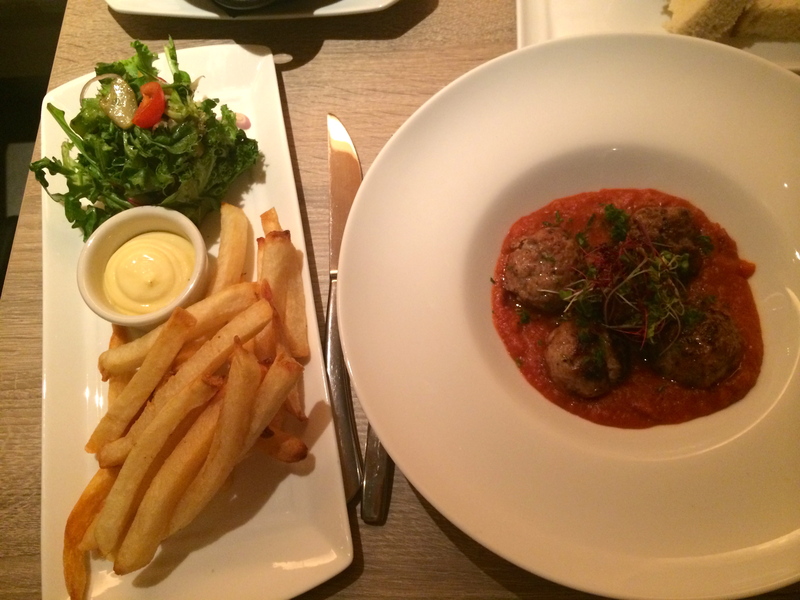 Ballekes in tomatensaus – Meatballs in tomato and fennel sauce seasonal salad greens and frites. 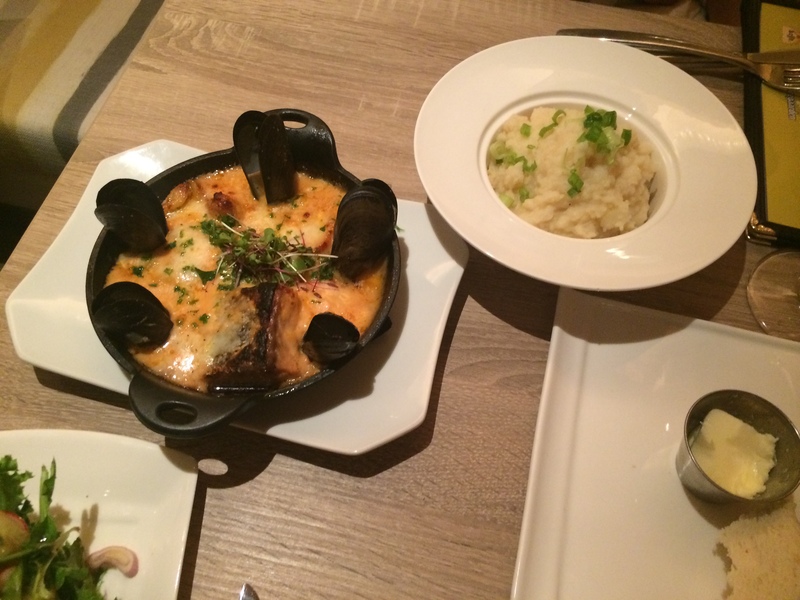 Duinkerks gegratineerd visserspotje / cassoulet du poisons – Grated ‘fish pan’ with scallops, cod, salmon, mussels, veggies in a tomato and cream sauce. Accompanied with mashed potatoes. Got a taste of this dish and it had plenty of fish and was also pretty good, but it was so warm in the restaurant I had trouble eating all of these hot dishes! Overall, the food was pretty good. However, they need to fix their A/C, train their staff on all of the dishes, and appropriately price their menu items. The type of food served as well may be a hindrance since it included many stews, soups and other “cold weather” dishes that are not really suitable for Miami. 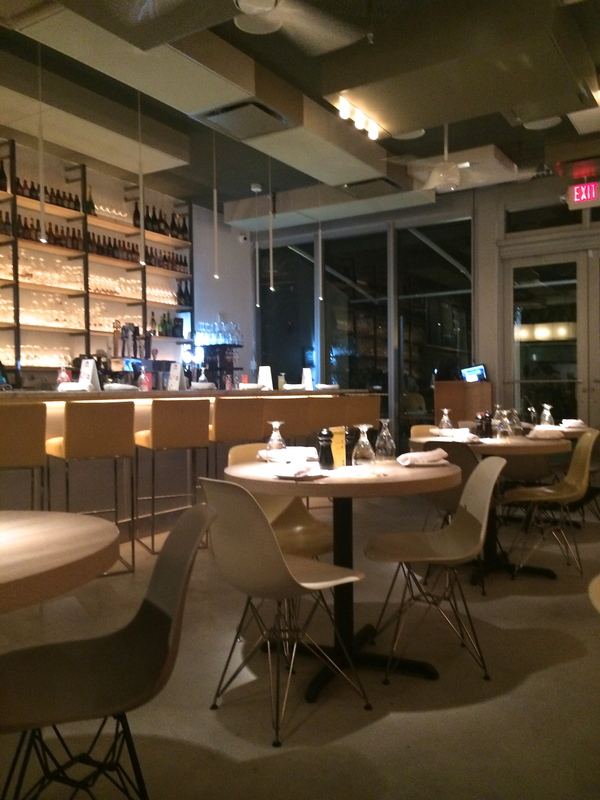 I dined there during August, so, hopefully they ironed out the issues I experienced that night. The upcoming cooler months as well may make their stews and soups more enticing.